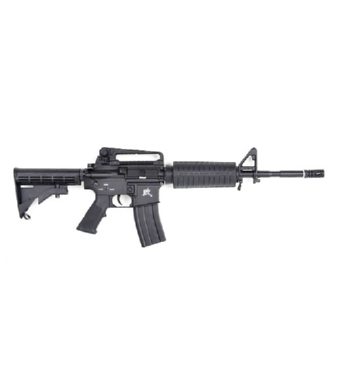 PRODOTTO DALLA GHOST ARMAMENT, FUCILE ELETTRICO MODELLO M4 MOE TACTICAL GHOST FULL METAL. BATTERIA IN DOTAZIONE TYPE MINI 8,4V 1100mAh (VA RIPOSTA SOTTO LA CANNA), CARICA BATTERIA 220V 300mA. GUSCIO IN METALLO CON LOGO, CALCIO REGOLABILE IN FIBRA DI NYLON, MANIGLIONE RIMOVIBILE, BOLT CATCH FUNZIONANTE, 1 SLITTA PER IL FISSAGGIO DI ACCESSORI.